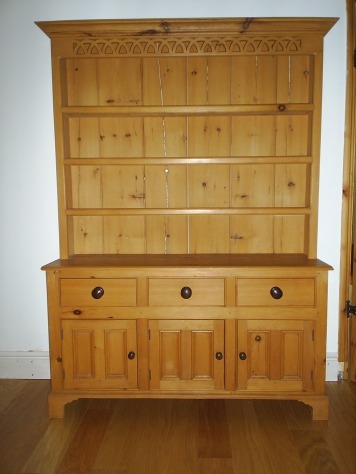 A three drawer dresser in reclaimed yellow pine with traditionally Irish styling and proportions. 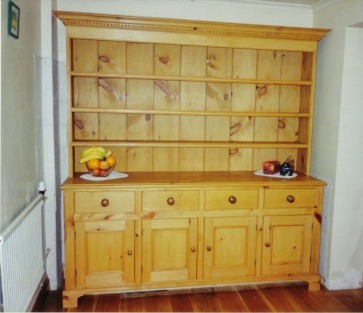 A large West Country dresser in reclaimed yellow pine. The large Dentil moulded cornice adds detail to a simple design. Native oak was used for the top and backboards of this painted dresser, which was built for a listed cottage in Wales .